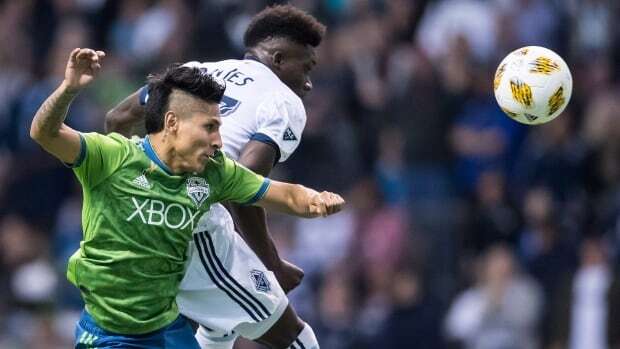 The Seattle Sounders maintained their winning ways Saturday, notching a 2-1 victory over the Vancouver Whitecaps. It was the ninth win a row for the Sounders (13-5-9), a historic streak for the club. Vancouver (11-8-9) went into the match unbeaten in six league games. The Sounders opened the scoring in the 21st minute, working their way into the Vancouver box where a series of quick passes ended with striker Raul Ruidiaz poking the ball into the net. Defender Kelvin Leerdam and midfielder Cristian Roldan were credited with assists on the play. Ruidiaz struck again in the 42nd minute, when Vancouver keeper Stefan Marinovic was caught far outside his box. The Peruvian national took a blind pass and sauntered in alone, tapping the ball into the net to make it 2-0 Seattle.